White Rock owns 100% of the globally significant Red Mountain zinc-dominant VMS project in central Alaska. 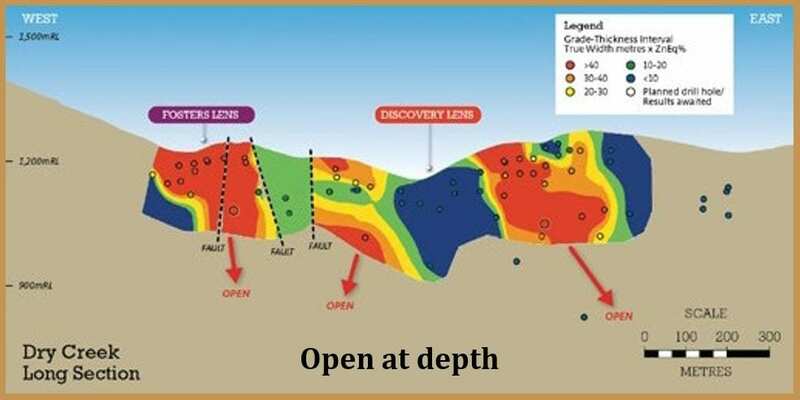 This high-grade zinc-silver-lead-gold project, with a maiden JORC 2012 Resource of 9.1Mt grading 12.9% ZnEq provides White Rock with a quality advanced exploration project where there is significant potential to discover several new large zinc-silver-lead-gold-copper deposits. 30 identified targets alongside the two known deposits. 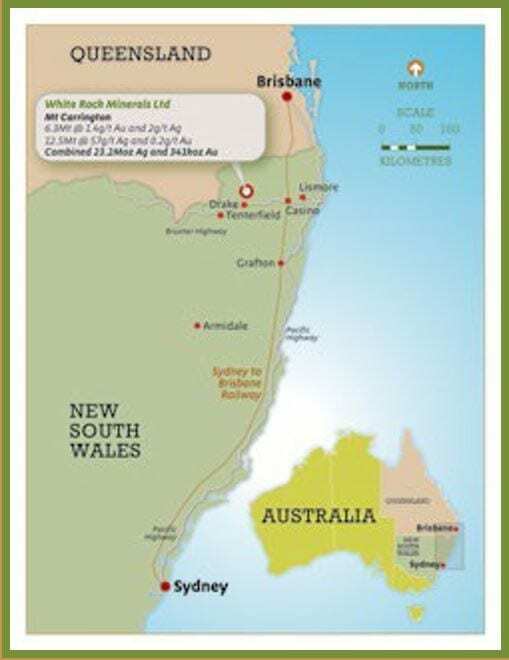 White Rock also owns 100% of the Mt Carrington gold-silver project in New South Wales, Australia. This project is on an approved ML and has a JORC Resource estimate containing over 340,000 ounces of gold and 23 million ounces of silver, with a maiden Ore Reserve released in late 2017. 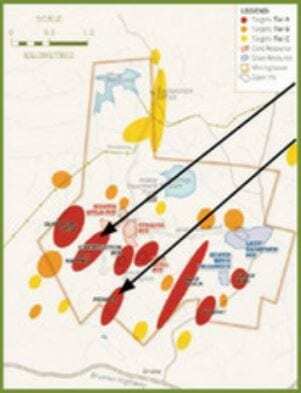 Exploration campaign aims to discover further deposits. White Rock offers geological, geographical and commodity diversification for investors – Australia and USA. Highly credentialed and highly regarded management team and board. And with 8 million ounces of silver classified as Indicated Resources to follow. Maiden JORC 2012 Resource places the Red Mountain Project in the top quartile of undeveloped high-grade VMS (zinc, silver, gold) deposits globally. High grade resource: 9.1Mt @ 12.9% ZnEq within the existing 16.7Mt @ 8.9% ZnEq global resource. Last drilled in the 1990s. White Rock’s other key asset is the 100% owned Mt Carrington project where shallow Indicated and Inferred Mineral Resources totalling 341,000oz gold and 23.2Moz silver have been defined. 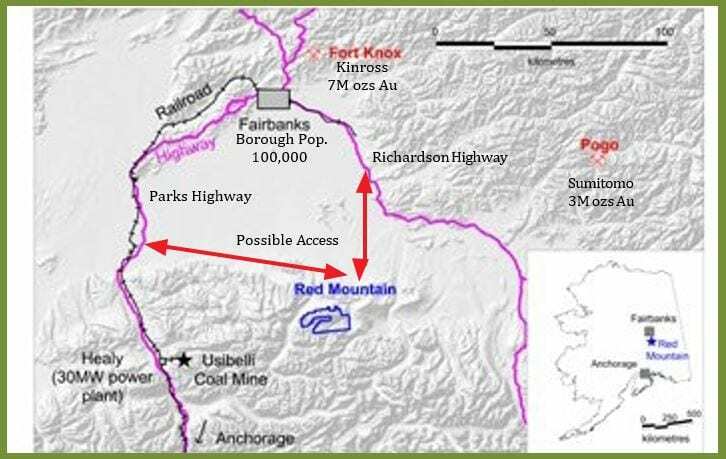 Established mining hub at Fairbanks; services mines including Pogo, Fort Knox and Usibelli. Good preliminary metallurgical test work results with recoveries >90% zinc, >75% lead, >80% gold, >70% silver. Crews collected 435 stream samples, 1,835 soil samples and 330 rock chips samples. Hunter is open to the east, west and at depth. Successful application of a new geophysics exploration tool on this project (CSAMT). Hole DC18-79 intersection is the best drill hole intersection of all the historic holes drilled into the Discovery lens. World-class jurisdiction: located in NSW, which has a number of existing operating mines and development projects. Brownfields Projects: historical mining occurred at the Project area by various companies up until 1990. On granted Mining Lease. Capital requirement reduced: given the existing infrastructure, start-up capital is estimated at only A$36m (on-site existing infrastructure estimated at A$20m). JORC Resources: 341,000oz contained gold and 2Moz of contained silver. JORC Reserve: released in December 2017, maiden JORC Reserve of 47mt @ 1.43g/t gold for 159,000 oz has been defined for the first two gold deposits to be mined. Positive PFS: released in December 2017, and targeting an optimized mine plan focused on the Gold First stage initially, generating free cash flow of A$36m and an IRR of 34%, over an initial 5 mine life, with mining of the silver dominant deposits contemplated to follow for a further 3 years (estimated). Payback less than 2 years. Favourable geology: hosted in the Drake Volcanics in the New England Fold Mineralisation is typically hosted by stockwork-style quartz veining or disseminated sulphides, within silica-illite-pyrite alteration. 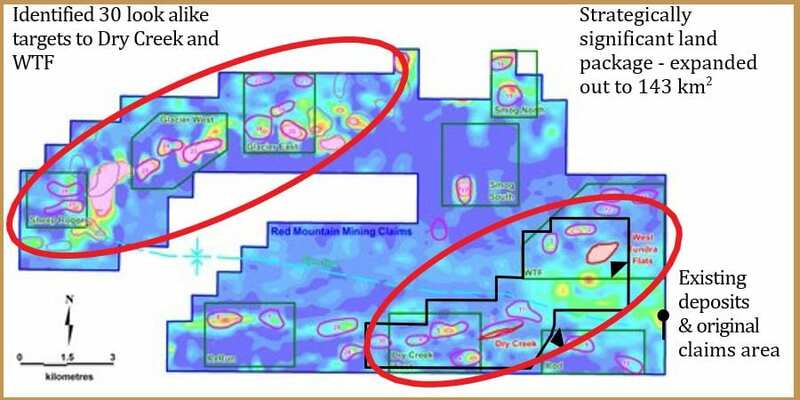 Multiple historic drill holes with shallow gold mineralization yet to be followed-up. Five other target/zones (Kylo South, Pioneer, Golden Knob, Carrington and Guy Bell) also with drill hole intersectios yet to be followed up. Significant copper potential remainsto be tested beneath shallow mineralisation at Gladstone West.